What does it take to be successful at Garfield? Leland Adams is a prime example of a bulldog who was able to pave his way to success. Even though success is defined in different ways, for many students being successful in high school means getting into the college they want. College is a common goal, but getting there is tough. It takes hard work to be noticed by colleges. Adams was accepted into fourteen out of the nineteen colleges and universities that he applied to. Which isn’t an easy feat. 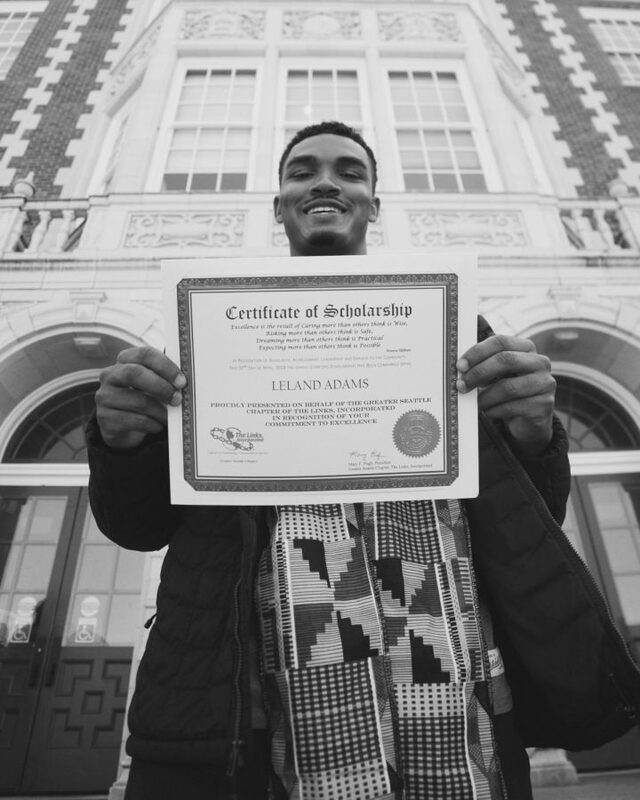 “Earlier in the year it was a stressful time period just grinding everyday and applying to different schools and scholarships, but in the end it’s all worth it,” Adams said. Out of all his acceptances, he has choosen to attend University of Washington Tacoma. His success doesn’t stop there. Adams has been granted $25,000 in scholarships from four different organizations. It takes more than a solid GPA to be accepted into colleges. Activities outside of the classroom are critical to stand out on a national level. Luckily, Garfield and the greater Seattle community have plenty of opportunities for youth looking to bulk up their applications. number of other roles in his community. “My favorite part of high school was being a part of CORE staff. It’s the best organization Garfield has to offer and I’m glad I had the opportunity to be a part of it and change so many lives,” Adams said. High school is not always an easy time. There are challenges that everyone has to face in order to test their strength. Success at Garfield isn’t expected to be accomplished alone. Working hard is only part of what allowed Adams to reach his goals. Support systems are available to high school students who want the help.